There are several Maids Principal Insurers in Singapore. We are striving to serve with a competitive lower premium for maid's insurance, bond and medical insurance. 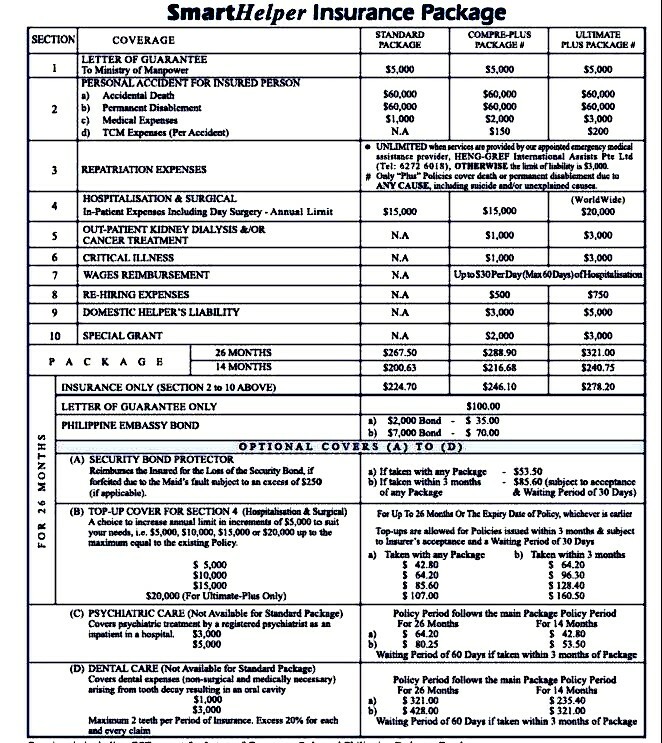 Our selling price for a Plan A medical insurance is only at S$228. The coverrage are extensive and we have compared with other principal insurer. EGRO offers the best coverage, medical needs for your domestic helper, maid. Maid's insurance is currently compulsory in Singapore after the approval of the maid's In-Principal Approval. Singapore top maids insurance have little discounts and or priced at market rates. Maids Insurance are compulsory and choosing a Maids Insurance is easy on our website. only when you buy minimum Plan A Bond & Insurance Package (no hidden extra costs). 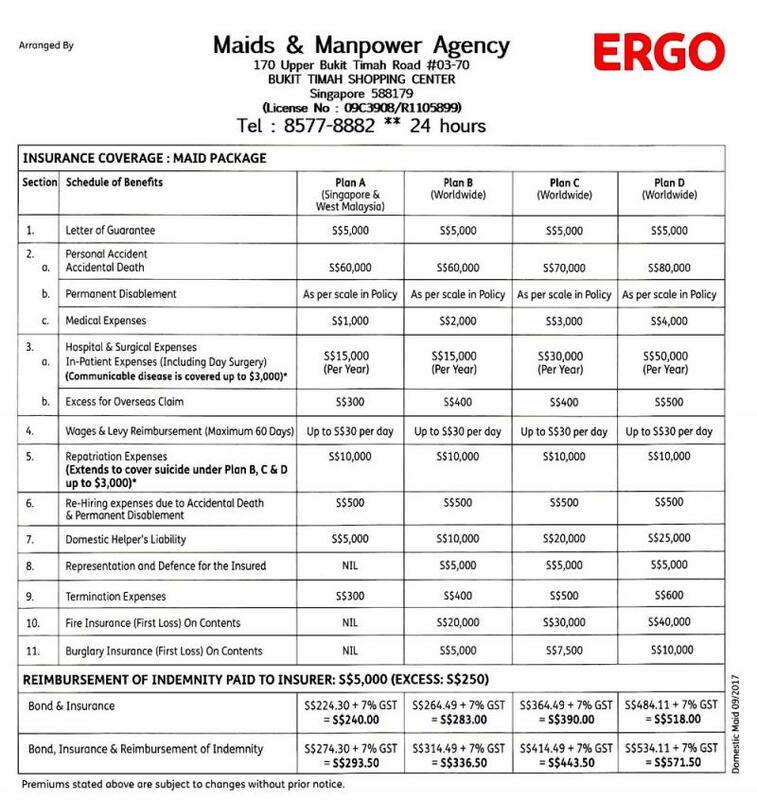 Select the type of Maids Insurance Plan A, Plan B, Plan C and Plan D.
URGENT Purchase can be arrange, the cut off time is 5pm Monday to Friday. Please call HP : 8188-6380. & insurer's plans and prices differs accordingly. In the event that Insurer is required to make payment under the Security Bond required by MOM, the employer will need only to pay S$250 instead of S$5,000. (events such as maid runaway, maid breach MOM regulations).